Mr Gargour has been a Director since 1981 and has served as Chairman and CEO since 1997. He is a citizen of Lebanon and the UK and holds an MBA from Harvard University. He is a co-owner of Intage and is the brother of Mr. Toufick Gargour and Mr Alain Gargour, both Lecico Directors and co-owners of Intage. 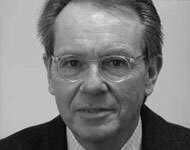 Mr Gargour has been involved with Lecico since 1978 and has been a Director of the Company since 1997. He is a citizen of both Lebanon and the UK and holds an MBA from the University of Chicago. He is also the CEO and member of the board of Gargour Holdings S.A, Chairman of Lecico Lebanon and serves as a Director of Lecico UK and as a member of Lecico Egypt’s Audit Committee. He is a Director of Intage. 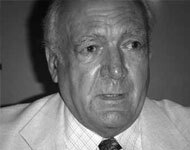 Mr. Gargour has been a Director of the Company since 1974 and holds an IEP from INSEAD. In addition to being a Director at Lecico Egypt, he has been a Director of Lecico Lebanon since 1969 and a Director and co-owner of Intage. 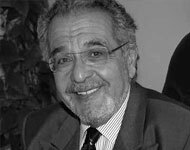 He served as the General Manager and as a Director of T. Gargour & Fils SAL (1968 to 1996) and Uniceramic Lebanon (1973 to 2000). appointed Managing Director in July 2012. He is a citizen of Lebanon and the USA and holds an MA from SAIS-Johns Hopkins. 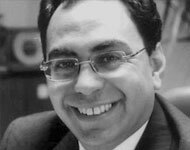 Prior to joining Lecico, he worked for seven years in the EMEA research department of HSBC Securities, covering Egyptian equities and rising to head the EMEA research team. Taher Gargour is the son of Chairman, CEO and coowner of Lecico Egypt, Mr. Gilbert Gargour. 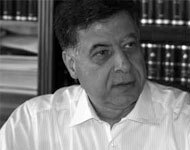 Mr Ghorayeb has been a Director since 2003. 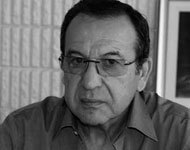 A Lebanese citizen, he studied Electro Technical Engineering from 1971-1976 in INSAE (Lebanon) in coordination with CNAM (France). 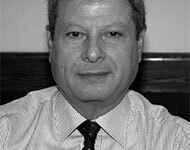 He joined Lecico Lebanon in 1970 and has served as Group Technical Director since 1993 and Managing Director of Lecico Lebanon since 1997. Mr Hassan was appointed as a Director in 2014. He is a citizen of Egypt with BSc in Accounting from Alexandria University and an MBA from Arab Academy for Science, Technology & Maritime Transport. He joined Lecico in 1990 and has served as Financial Manager from 2000 to 2013 when he was promoted to Finance Director and asked to join the board. Mr Lehti has been a Director since 2002. He is a citizen of Finland and was a Senior Vice-President for Ceramics Production at Sanitec from October 2001 until July 2007. Prior to this, he was the Managing Director of Ido Bathroom Ltd. (Finland) (1995 to 2001) and Managing Director of Porsgrund Bad AS (Norway) (1993 to 1995). In 2011, he left his job as President and CEO of Finndomo, and joined Lecico as Supply Chain Director. Mr Baroudi has been a Director since 2003. He served as the Managing Director from September 2002 to June 2012. Prior to joining Lecico, he worked at American Express Bank for 22 years and served in various positions including Executive Director and Region Head for North and South East Asia (1991 to 1996), and Managing Director of American Express’s Egyptian joint venture bank, Egyptian American Bank (1986 to 1990). 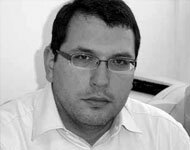 Eng Hakki has been a Director since 1998. He is a citizen of Egypt with an engineering degree from Cambridge University and an MBA from Seattle University. He is also the Chairman and Chief Executive Officer of EMEC and on the board of several other companies. Previously, he served as Chief Executive Officer of ABB Egypt (1978 to 1998) and as Chairman until 1999, after working for Brown Boveri in the US and Switzerland (1970 to 1978). He was Chairman of Biscomisr from 2008 to 2015. University of London. He founded Sarie-Eldin & Partners Law Firm in 2007 and is the firm’s Chairman. 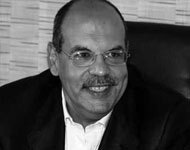 Prior to establishing the firm, he spent two years as Chairman of the Egyptian Capital Markets Authority and previously held senior positions in the Al-Futtaim Group and the Shalakany Law Office. He is currently a member of the Board of Directors of various Egyptian corporations and Banks. Dr Simon has been a Director since March 2011. He is a German citizen and holds a doctorate of Economics from Saint Gallen (Switzerland). 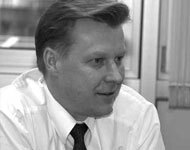 He is the owner of BirchCourt GmbH since 2005, and previously held senior positions at Continental AG, Keiper-Recaro GmbH and has been executive director of Grohe AG. 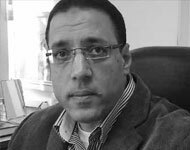 Between 2002 and 2005, he was CEO and member of the Board of Sanitec AG and served as a board member of Lecico Egypt representing Sanitec. He presently serves as the Chairman of the Supervisory Board of Joyou AG Hamburg/ Nan’an China and is a member of the Boards of Uponor OY Helsinki Finland, Haikui Seafood AG Hamburg / Dong Shan and HSIL Ltd, Gurgaon, India.